One common problem that pain management clinics have to face is spinal arthritis and spinal osteoarthritis. Osteoarthritis is the wearing down and degeneration of the cartilage that protects and cushions of tops of the bones. The symptoms include pain and swelling and it can also lead to the development of bone spurs or osteophytes. 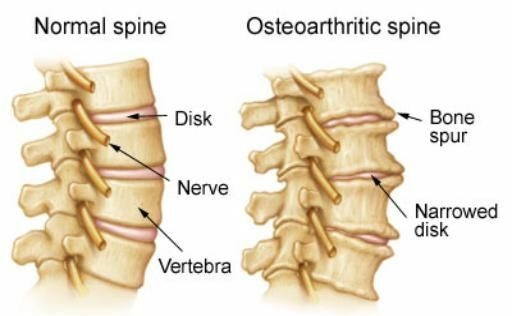 What is arthritis of Spine? This is the degeneration and wearing down of the cartilage of the discs joints present in the lower back and in the neck. This can sometimes produce spurs that in turn gives pressure on the nerves that are leaving the spinal cord. This leads to a sensation of pain and weakness along the arms and the legs as stated by the doctors of pain clinics in Las Vegas and elsewhere. Spinal Arthritis – who can get it? For people who are less than the age of 45 years, arthritis in general is common more in men. After the age of 45, it is common more in women. It is more common in people who are overweight or obese. It can also occur in people who are into jobs or sports that put stress on specific joints in the body. It can lead to pain and stiffness of the back or the neck. It can also cause numbness and weakness of the legs and the arms if the condition is severe enough to affect the nerves of the spinal cord or the spinal cord itself. The back discomfort is somewhat relieved when the patient is lying down. While some can become severely disabled, others do not experience any interference with their daily activities of life. There are can psychological symptoms as well as arthritis of the spine can hinder with a person’s daily activities or jobs and that might cause depression. If you experience prolonged pain in your back or neck, then make sure that you visit a pain clinic so that the doctors can diagnose the cause of your pain. A physical exam would be conducted by the doctors in order to know whether it is a case of arthritis or anything else. Certain tests might also be conducted like X – Ray, blood tests to eliminate the chances of other diseases or MRI. The treatment of spinal arthritis or for that matter arthritis involves giving the person relief from the pain and other symptoms. Treating the pain as they understand how unbearable the pain can be at certain times. The treatment is aimed at making the life of the person as normal as possible and the goal is to maintain a healthy lifestyle. Initially, the doctors might recommend losing weight if the concerned person is overweight. The treatment plan might include weight loss and weight management exercises and these usually improves flexibility, strengthens the blood, improves mood and attitude, improves blood flow and makes it easier to perform the daily tasks. Walking, swimming etc. might be included in your exercise routine. Bed rest is equally important though it is not recommended for a very long period of time. The same is true for traction, splints etc. Massage, acupuncture, nutritional supplements are sometimes a part of this treatment plan as well.